While reading the Microsoft Whitepaper Diagnosing Application Compatibility Issues Affecting Windows Power Management I came across a utility called PwrTest that can be used to diagnose sleep reliability issues and more… The below list shows the various options the tool provides. 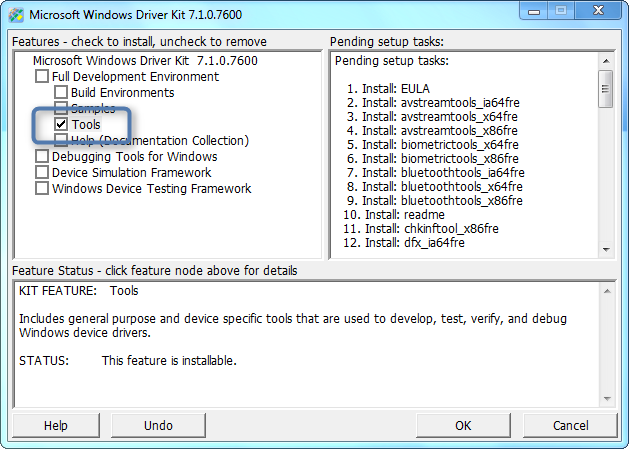 PwrTest.exe is part of the Windows Driver Kit that can be downloaded from here. You will need to download an ISO file that is approx. 620 MB, but no worries, no need to install the Full Driver Kit to get this utility. When launching the installer, just select the Tools. When accepting the default path, all tools will install under C:\WinDDK\7600.16385.1\Tools where you also find the Power Management folder that contains the PwrTest utility. Are my Windows Power Settings Energy Star compliant?